George’s father immigrated to Australia to work as coolie in the Victorian goldfields from his native village of Toishan in Guangdong province. When the gold went out, he walked to Adelaide where he found work as a tailor and where George was born. After graduation from Lingnan University in Canton with a degree in economics, George formed George M. Lau & Bros (友利洋行) in 1939 with his brothers to distribute auto parts in HK and Southern China. According to the Directory of HK, Canton and Macao in 1949, the firm’s agencies included auto parts from American manufacturers such as Sparton (car horns), Automotive International from Chicago and Consolidated Wire, and also hardware, garments, paper goods from the UK, Switzerland and Scandinavia. 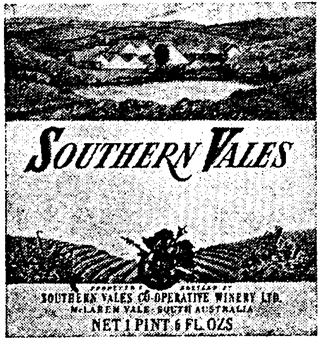 The full range of products which George M. Lau & Bros represented could be found in the 1957 ad shown above. George M. Lau (HK) Ltd as a firm was incorporated in 1954 and the family also operated Galaxie Arts & Gifts, an arts and antique dealer. There are two versions of the story of how George Lau got into the wig business. The version from various Chinese publications is that he first learned about the business opportunities associated with wigs from two American businessmen in 1958 during a business trip to Cleveland, Ohio for his trading business. After he returned to Hong Kong, he found out he could make 5 times profits making wigs so he consulted a wig maker for the movie studios, who told him that it would take over a month to make a wig. He hired the wig maker as a consultant and together they developed a sewing machine (a Singer converted to fit human hair which are thicker than artificial hair) that could produce wigs at a much faster pace and at a lower cost and started the first wig factory in HK. The second version from English articles is he met a French wig manufacturer in Paris after the War who challenged him that he could not make wigs as well he could in HK and soon he was able to make wigs within a day for what took the Frenchman two weeks. 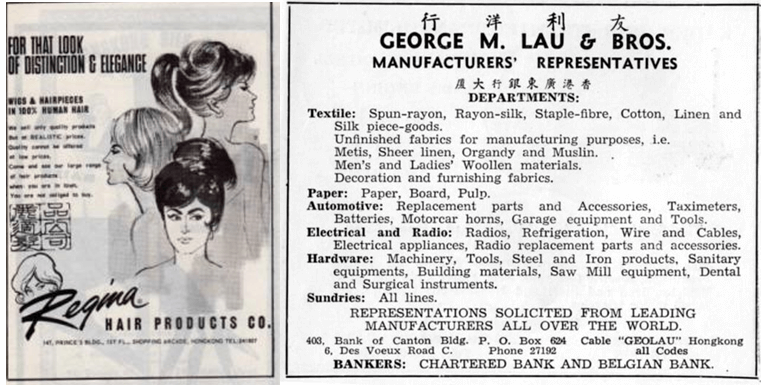 Lau started two wig factories – Regina Hair Products Factory (麗適人髪品廠) which focused on the higher end wigs made of human hair (sourced primarily from India and Indonesia) and was named after his wife Regina Lam (林媛珍) and Rogaile Hair Products Factory (麗嘉髪品廠), which focused more on artificial hair. (both of above firms were incorporated in 1967 but founded earlier) A retail outlet was also opened at Prince’s Building in Central under the Regina name. Business took off and by 1964 Lau was doing close to HK$3 million in sales in an annualized basis (almost all of it going to America), offering 16 different shades and 6 different thicknesses with 9 months orders on hand. Eventually his operations moved into Regina Industrial Building at 8 Kwai Chow Street in To Kwa Wan. The success of Lau led to many imitators and by the late 1960s, there were hundreds of players. However, Lau managed to maintain a leading position in the industry. 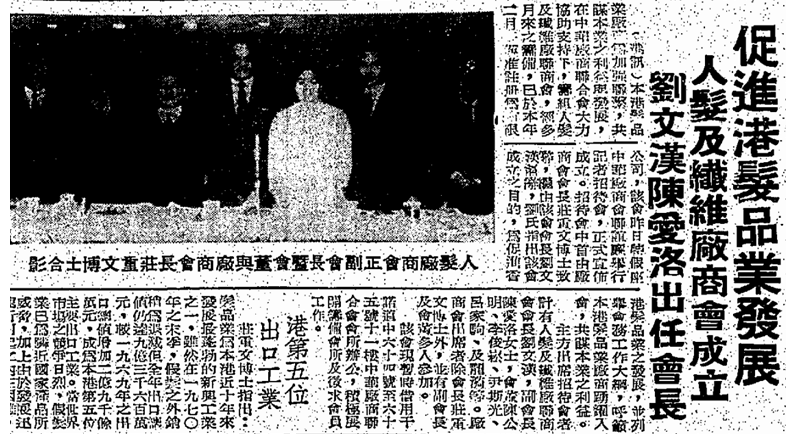 In 1971, the HK Human Hair & Fiber Manufacturers Association was founded with the support of the Chinese Manufacturers Association and George Lau was elected its first chairman with Ms. Chan Oi-lok (陳愛洛) as vice chair. The same year, Regina expanded overseas and established a plant in the outskirts of Kuala Lumpur. This article was first posted on 10th November 2017.